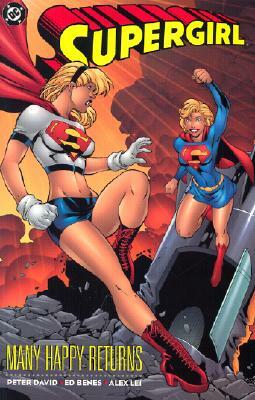 Years ago when the original Supergirl heroically sacrificed her life, a protoplasmic construct from another dimension merged with a dying woman to become the new Woman of Steel. Since that day, Linda Danvers has upheld the tradition and legacy of the Kryptonian legend. But when an alien spaceship crashes to Earth and Kara Zor-El, the original Supergirl, emerges, Linda is forced upon a journey of self-discovery. Joined by both Superman and Superboy, Linda sets out to uncover the secret behind the return of the Man of Steel's cousin and the deadly grudge that the mysterious Xenon holds against her.